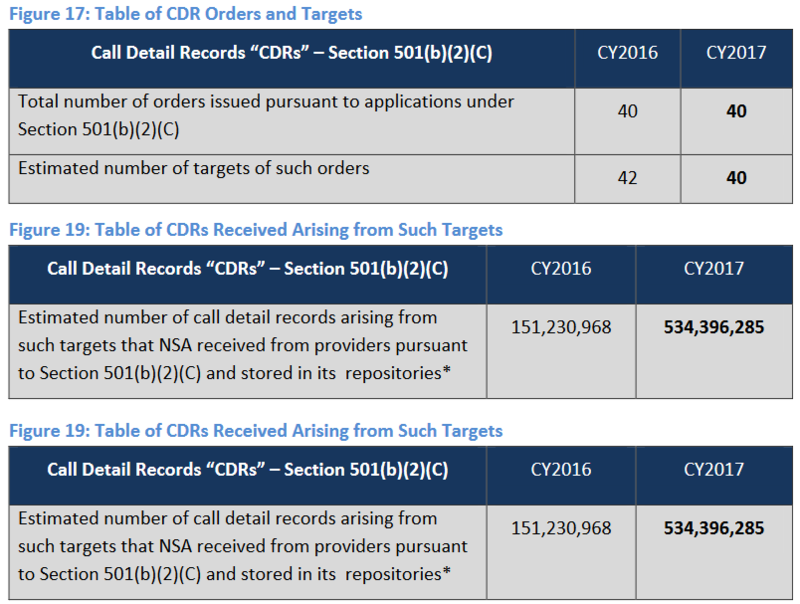 The National Security Agency revealed a huge increase in the amount of call metadata collected, from about 151 million call records in 2016 to more than 530 million last year — despite having fewer targets. But officials say nothing is different about the year but the numbers. A transparency report issued by the Office of the Director of National Intelligence shows numerous other fluctuations in the volume of surveillance conducted. Foreign surveillance-related, warrantless Section 702 content queries involving U.S. persons jumped from 5,288 to 7,512, for instance, and more citizens were “unmasked,” indicating a general increase in quantity. On the other hand, the number of more invasive pen register/trace and tap orders dropped by nearly half, to 33, with even fewer targets — far less than the peak in 2014, when 135 orders targeted 516 people. 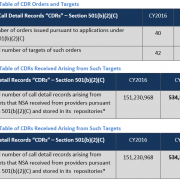 The biggest increase by far is the number of “call detail records” collected from service providers. Although the number of targets actually decreased from the previous year, from 42 to 40, the number of call records jumped from 151 million to 534 million, and search terms from 22,360 to 31,196.